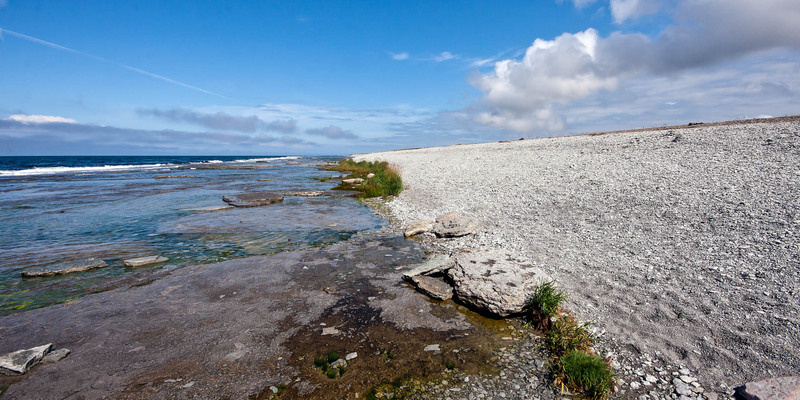 The nature reserve Neptuni Åkrar on the west coast of the island Öland, about 3 kilometers north of Byxelkrok, is the most famous section of the rubble coastline between Byxelkrok and the northern tip of the island. 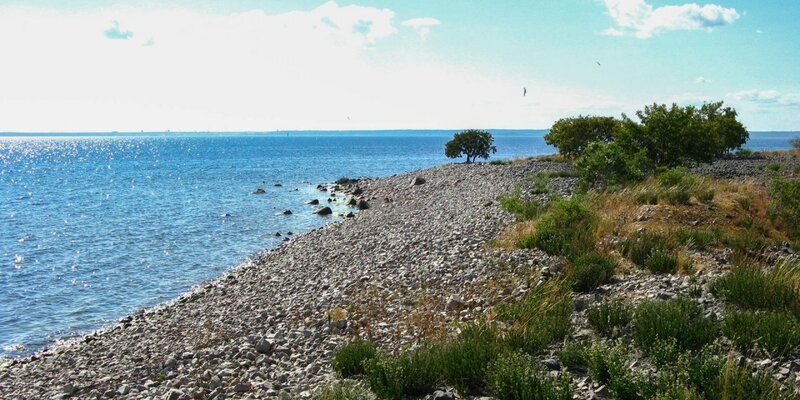 Neptuni Åkrar is an about 200 meters wide beach ridge - a remnant of the last ice age glaciers, where the waves have washed up flat stones and gravel parallel to the waterline and above it. 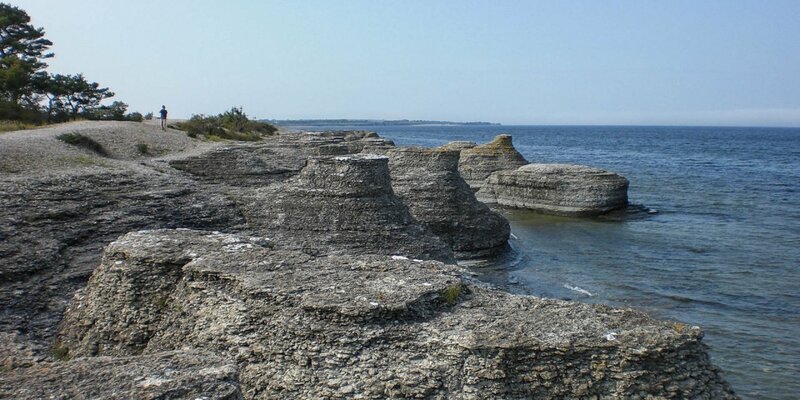 The area is rich in fossils, including especially many fossils of trilobites and brachiopods. The vegetation is very sparse because of the surface and of the steady wind. It only consists of drought tolerant plants. Nevertheless, Neptuni Åkrar is frequently visited for its fauna, because in the summer it transforms into a sea of blue flowers of viper's bugloss. 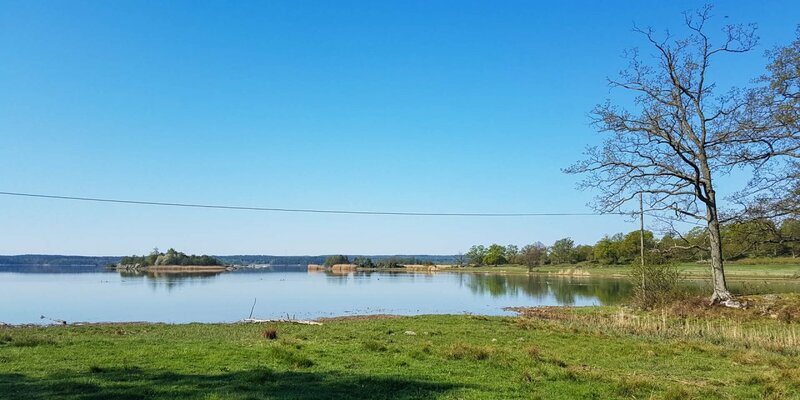 Originally the plant is not common on Öland, but its seeds were brought to Byxelkrok with a boatload of gravel from the island Ven in 1934 and have since spread across the island. The burial ground Forgalla Skepp is located at the southern border of the nature reserve. The site from the Viking era includes numerous stone circles and is the northernmost burial ground on Öland and of great cultural significance.